Our new Class Plus 3.0 video and case study can help grow your business! 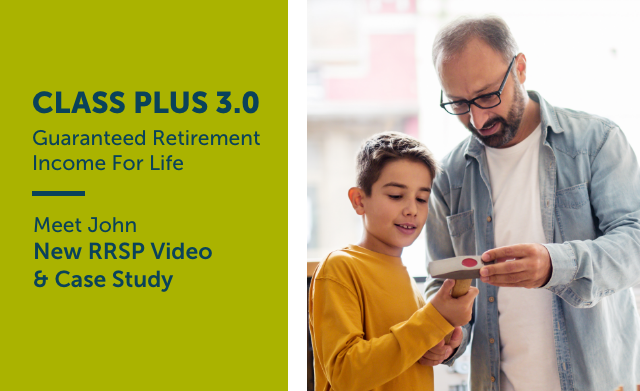 Our new video and case study can help demonstrate to clients how Class Plus 3.0 may benefit their financial situation. You’ll see how John, age 50, who is looking to retire at 65, can use the income from Class Plus 3.0 to cover his fixed expenses in retirement. to 5%!4 The 5% annual Income Base Bonus - not pro-rated - will be applied to ALL new and existing Class Plus 3.0 contracts. 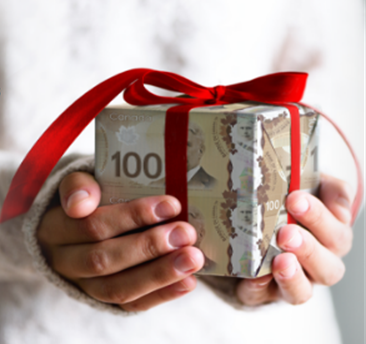 1 Designing retirement schemes Canadians want. CAAT Pension Plan. April 13, 2017. 2 Making an Excess Withdrawal may decrease the guaranteed retirement income for life amount. 3 The Income Base Bonus is credited in years that there are no withdrawals from Class Plus 3.0 for the first 20 calendar years you own Class Plus 3.0. It is a notional amount and has no cash value. 4 If no withdrawals are made in 2018. Offer ends December 31, 2018. Annual Income Base Bonus returns to 4% in 2019.